Vape/ E-cigar is becoming a trend everywhere now. And e-cigar shops are popping like mushrooms too. 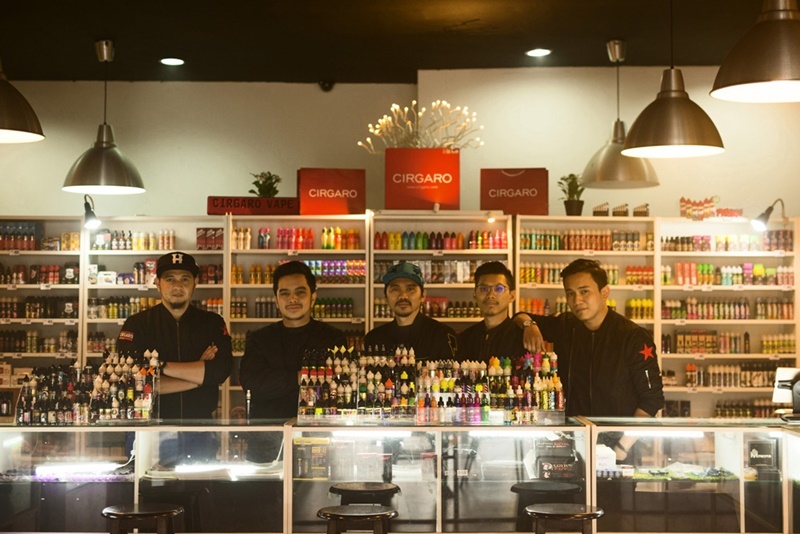 So, Cirgaro Vape Store is the longest running vape shop in Shah Alam and has been running since 2012. 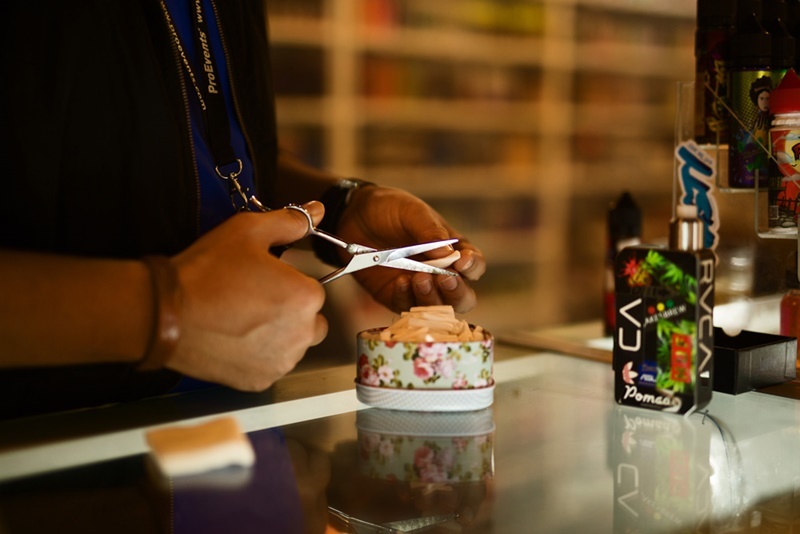 Literally, Cirgaro Vape Store is the one-stop centre for vape users in Klang Valley, especially Shah Alam users. 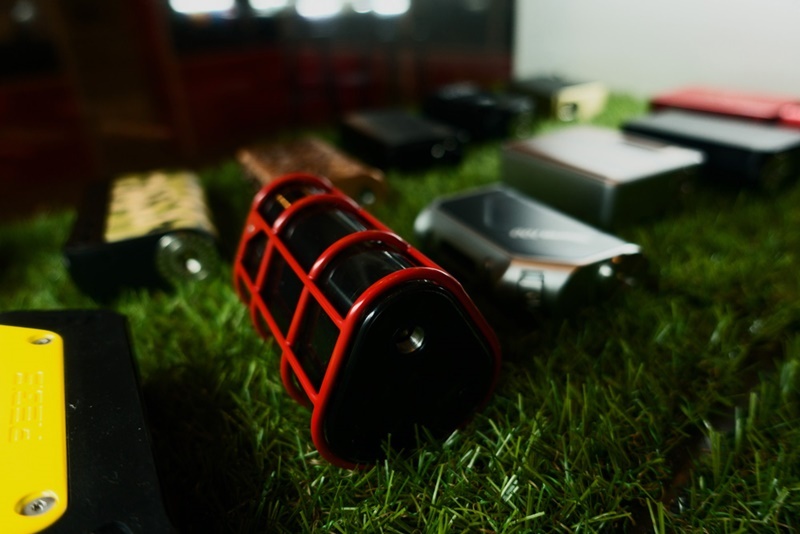 Operating from its shop in Seksyen 7 Shah Alam, Cirgaro Vape Store opens daily from 11 am to 11 pm, including Sundays and public holidays. No wonder that it was awarded as 'The Best Customer' by OMG Vape Fest in 2015. 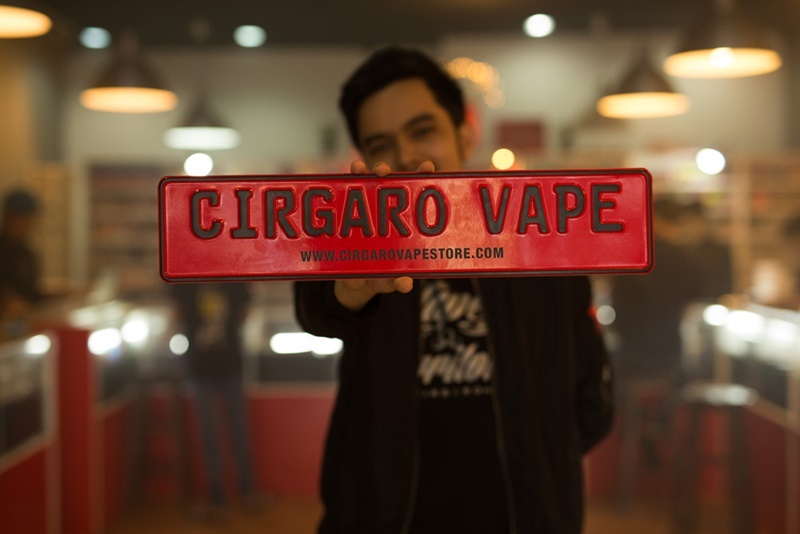 What's so superb about Cirgaro Vape Store? Offers Recoil & MOD setting services. The store has the latest MOD setting too. The best price for item in town! Shah Alam is too far for you? 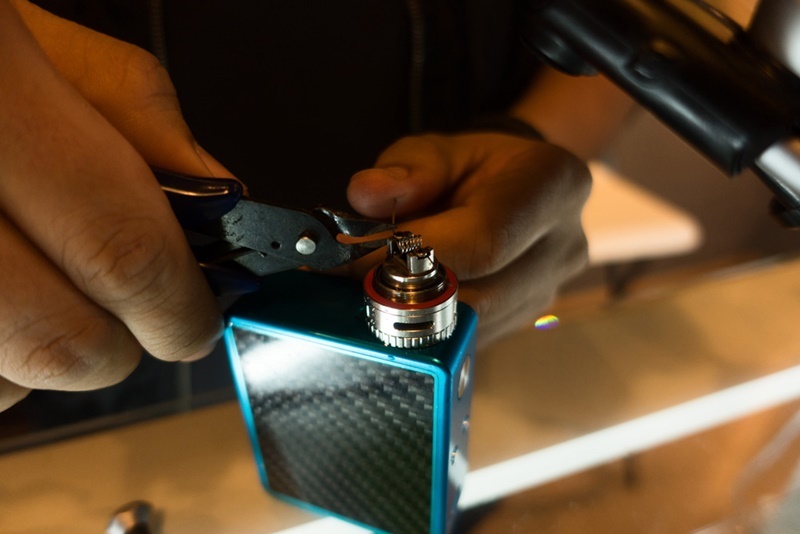 Do not fret as Cirgaro Vape Store also operates online via its e-commerce site - the first and the most complete e-commerce store for the vape community : | Cirgaro Vape Store |. Not only it will help you to save time, it also offers many more advantages to shop online. Multiple choices of payment - debit, credit, PayPal, Visa and Mastercard. Choices of bank, for the time being, is CIMB, Maybank and RHB. Daily courier services - free postage for Malaysia only. Lots of online discounts and amazing promotions. Apart from its online store, the community also keeps in touch with the latest news via |Facebook| and |Instagram|. 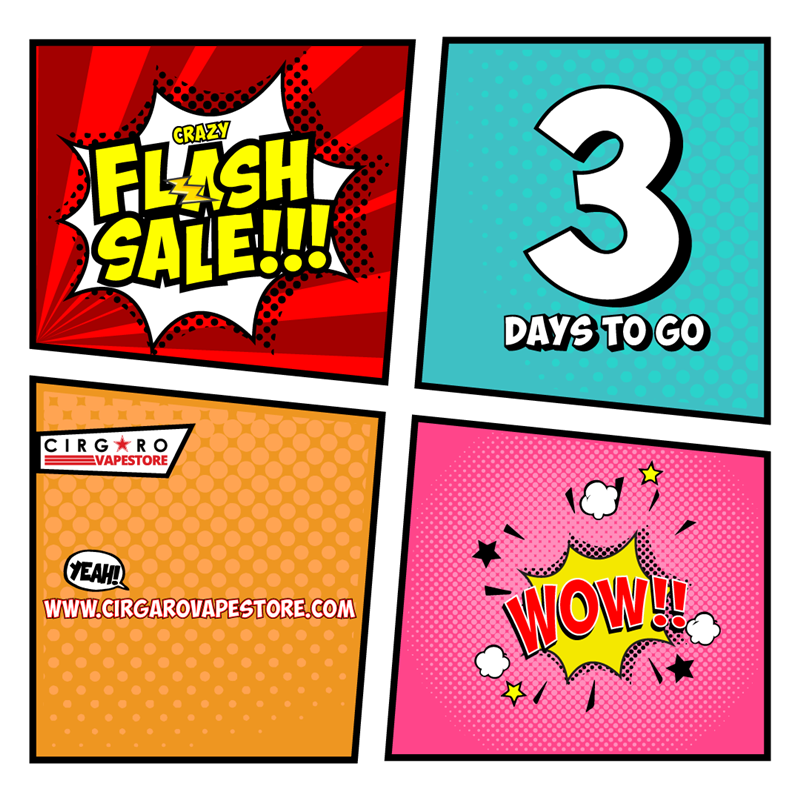 On 10 November 2017, Cirgaro Vape Store will be celebrating its 5th anniversary. And, they want to have it big this time by putting an iPhone 8 on line - for a prize for its loyal customers. How? 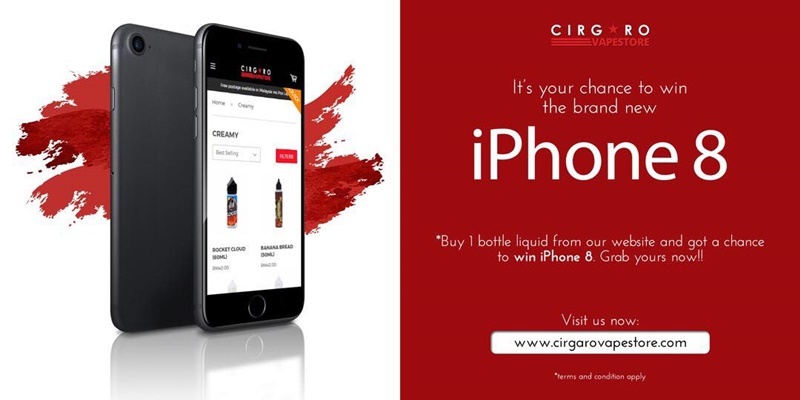 Just buy at least 1 product online and you will be in the running to win that amazing iPhone 8. And, there will be amazing and crazy online sales promotion starting from 10 November until 12 November 2017. So be sure to check that shopping portal so you will not be missing out on the chance to win the grand prize. hehe, vaping? wow, jom vape? :P ... i want that iphone though. I have suggested this place to a friend of mine who vapes... Hopefully he can win the iphone. 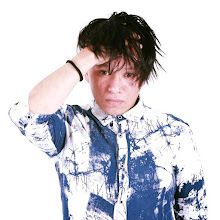 Amboi u oll baca blog ni banyak gaya hidup sihat dan produk sihat tapi ada juga iklan Vape hehehehehe tak apa lah pelanggan yang nak kan..
Wahh. This is such a great startup business innovation. You know like nowadays so many people prefer to buy things online. wa macam best! I wish to win the phone too! Wahhhh beli ni pun bleh dapat iPhone. 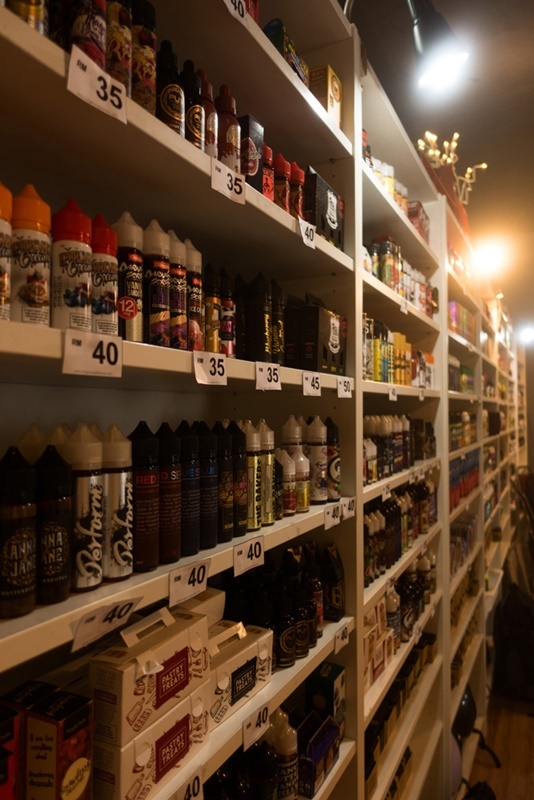 Siapa yang nak beli perisa VAPE tu better beli kat sini. Mana tau rezeki kan. Hehehe. I want iphone 8. But I don't do vape. But that is a good promo. got people still vaping ahh now.. been there done dat.. Didn't know can win iPhone 8. I don't do vape but can let others know. last time my other half vaping but now i dont know where the hell he throw the vape machine..hahaha...lucky he stop smoking until..but he is getting fat!!! HAHA i need to find a friend who vapes. Im only interested in their iphone8. LOL.